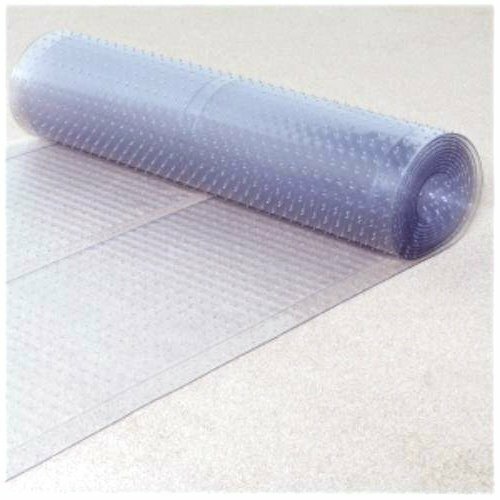 Ottomanson Clear vinyl carpet protector runner mat is designed for protecting heavy traffic areas from dirt, moisture and wear while allowing the beauty of the carpet to show through. It features a high-spike Gripper backing that will keep the carpet protector in place even in the high foot traffic areas. The high quality thick vinyl material ensures a long lasting durable finish and is easy to clean.